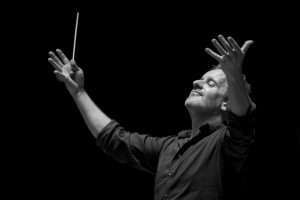 Swedish conductor and orchestrator Joakim Unander made his Stockholm Royal Opera conducting debut 2002 with Hans Gefors’ Clara, and was reinvited the following seasons for Zauberflöte, Carmen, the world premiere of Miklós Maros Castratos, L’Heure Espagnole, Mats Ek’s Orphée and concerts. He made his debut at Folkoperan, Stockholm 2001 with Sven-David Sandström/Claes Fellbom’s Jeppe, and was reinvited for Entführung, Così fan tutte, Rigoletto, Anders Nilsson/Claes Fellbom’s Zarah, Die Lustige Witwe and Freischütz. Joakim Unander made his first appearance at Gothenburg Opera in 2004 with Pelléas et Mélisande, was reinvited following seasons for Rigoletto, Fidelio, Entführung and Zauberflöte. He lead the World premiere of Daniel Börtz grand opera Goya in 2009. He was Musical director at Folkoperan 2008-2013 with productions of Madama Butterfly, Faust, The Consul, Gianni Schicchi, Les Pecheurs de perles, Un Ballo in maschera, L’Elisir d’amore, Giulio Cesare, Der Silbersee (Weill) as well as numerous concerts/appearances in the experimental vein of Folkoperan, like the hailed Carmina Burana, premiered in 2012. Most insightful in contemporary music, Joakim Unander has premiered a number of new works and has also recorded with the Swedish Radio Symphony Orchestra, Kammarensemblen, Min-Ensemblet, Narvik, and others. On the concert stage, Joakim has worked with SRSO, Royal Stockholm Philharmonic, Helsingborg, Trondheim and Norrköping symphony orchestras to name a few.